The Point of Selling isn’t Selling; the Point of Selling is Buying. Such a seemingly simple and common sense principle has profound implications for the profession of selling. What exactly is meant by “The Point of Selling is Buying”? Salespeople’s commission isn’t determined by the selling that took place. Salespeople’s commission is determined by the buying that took place. If a salesperson says virtually nothing to a customer but the customer bought, did the salesperson do their job? 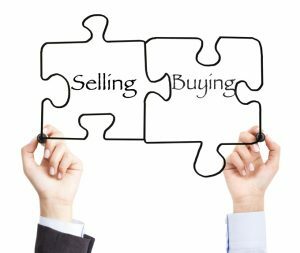 Does the salesperson deserve commission? Of course he or she does. Perhaps the salesperson’s skill was in knowing when not to talk. If a salesperson tries really hard to sell someone but the customer ends up not buying, did the salesperson do their job? Does the salesperson deserve commission? The answer is “No”. Commission is determined by customers’ buying performance. Commission isn’t determined by salespeople’s selling performance. Traditional selling and sales training’s focus, however, is on salespeople’s selling performance. Traditional selling and sales training is missing the point. Salespeople should define success in terms of their customer’s buying rather than in terms of their own selling.